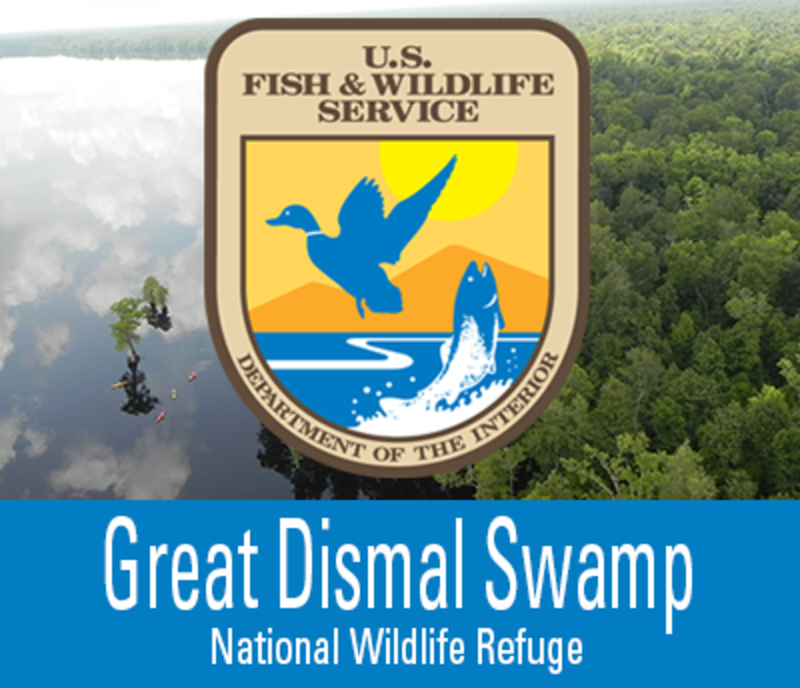 Comprised on nearly 1110,000 acres of forested wetlands, canals, ponds, lakes, sphagnum bogs, evergreen shrubs, and marshy boarders, the Great Dismal Swamp National Wildlife Refuge is the largest entity of the Coastal Phase of the Virginia Birding and Wildlife Trail. The refuge may be explored via 40 miles of nearly level trails and roads. Three-mile-wide Lake Drummond, located in the heart of the Swamp, is one of only two natural lakes in Virginia. 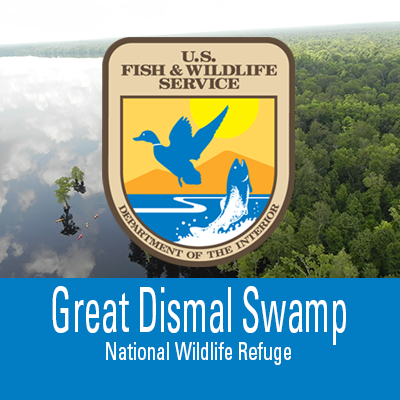 The Great Dismal Swamp is a naturalist’s dream. Over 200 species of birds. While searching for the refuge’s many birds, event the most casual observer will encounter some of the Refuge’s 87 species of reptiles and amphibians. Small mammals are abundant, and large species such as black bear, bobcat and river otter are encountered with unusual frequency.